At Achieve3000, we are laser-focused on finding new ways to leverage differentiated instruction and powerful technology to accelerate student gains in reading and, ultimately, across the curriculum. Achieve3000 today unveiled a new release of its online differentiated literacy solutions that have been shown to rapidly accelerate literacy gains, boost academic performance across the curriculum, and prepare students for rigorous new standards and state assessments. Millions of U.S. students currently use Achieve3000’s KidBiz3000™, TeenBiz3000™, and Empower3000™ to build the literacy skills required for college and career readiness. Data show that students who use Achieve3000 regularly show remarkable gains in Lexile® reading scores—up to triple the expected norms. The Lexile Framework is unique because it measures text difficulty and reader ability on the same scale. This makes for an exceptionally effective matching of readers to appropriate texts. The new release employs the same classroom-tested literacy routine that has generated remarkable results for the past 14 years, and applies that routine in lessons that are rich in science and social studies content. This will help students build literacy skills and content-area knowledge simultaneously, while helping share the responsibility of literacy development across the content areas. New lessons also provide opportunities for students to synthesize information from a variety of sources and cite evidence when making and supporting arguments—key skills that are required under the new Common Core State Standards. In addition, the system provides practice with interactive assessments similar to the latest Common Core and state tests. In addition, the system features a Career Center, where students can select careers that interest them and find the Lexile levels that are necessary to be successful in those jobs. The system automatically tracks their progress towards that goal, providing a unique motivational tool to encourage students to try even harder. Teachers will also see new lesson planning resources and scaffolds that enable them to meet the needs of special populations, such as struggling readers, English language learners, and gifted and talented students. Achieve3000® is the leader in online differentiated literacy instruction, serving millions of students across the United States. 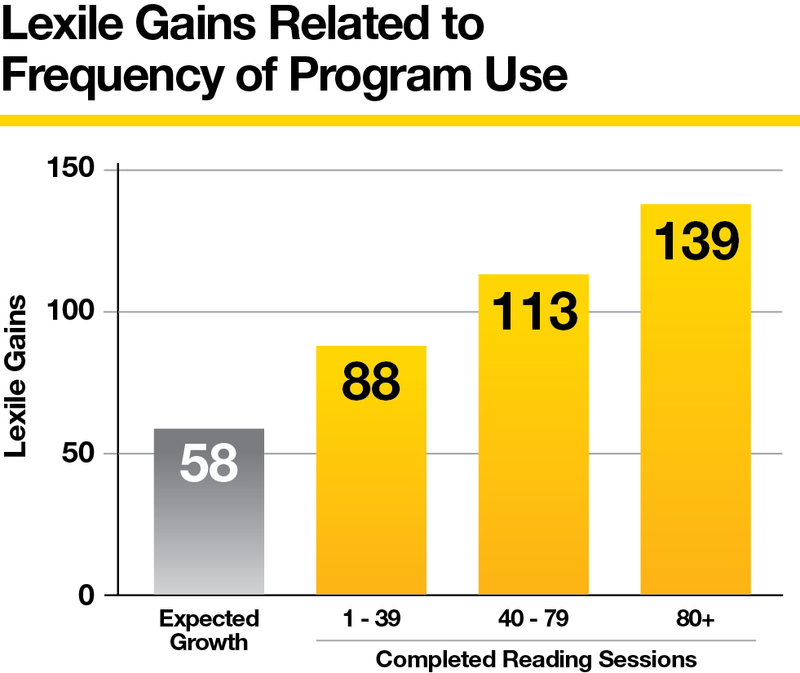 For more than 13 years, the company has been consistently helping students achieve significant Lexile gains, from double-to-triple higher than expected typical Lexile gains without using Achieve3000. Students also enjoy using the solutions outside of school: on average, more than 70 percent of logins occur outside of school hours. Based on decades of scientific research, Achieve3000 solutions deliver engaging, nonfiction content that supports core curriculum, Response to Intervention, English language learning, special education, and other instructional models. eScience (for grades 6-8), KidBiz3000® (for grades 2-5), TeenBiz3000® (for grades 6-8), Empower3000™ (for grades 9-12) and Spark3000® (for adult learners) are aligned with Common Core State Standards for English language arts as well as individual state standards. Achieve3000 supports 21st century education initiatives across content areas and is raising student performance across the country. The company is based in Lakewood, N.J. Learn more about Achieve3000 at http://www.achieve3000.com or call 888-968-6822.